In shallow glass or plastic dish or resealable food-storage plastic bag, mix all ingredients except chicken. Add chicken; turn to coat with marinade. Cover dish or seal bag; refrigerate, turning chicken occasionally, at least 2 hours but no longer than 24 hours. Heat gas or charcoal grill. Remove chicken from marinade; reserve marinade. Place chicken on grill over medium heat. Cover grill; cook 15 to 20 minutes, turning chicken and brushing with marinade occasionally, until juice of chicken is clear when center of thickest part is cut (170°F). Heat remaining marinade to boiling; boil and stir 1 minute. Serve with chicken. 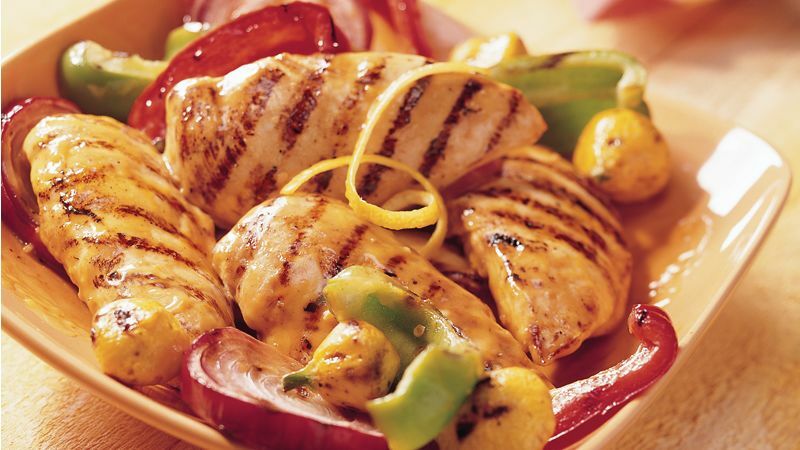 For extra-moist grilled chicken, use tongs instead of a fork to turn the pieces. A fork will pierce the meat and let too many of the juices run out, drying the chicken.